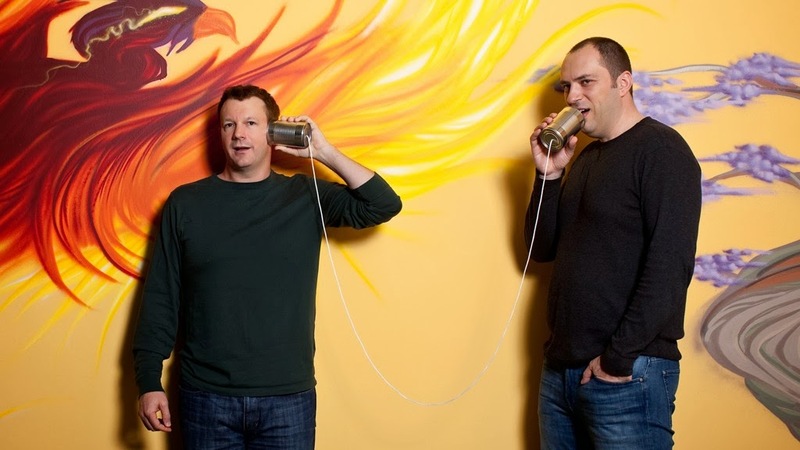 How WhatsApp Came To Be Worth $19 Billion? WhatsApp, the super-popular messaging app, has once again come under the spotlight, and became a sensation all over again as Facebook moves to bid $19 Billion for its acquisition. The deal is all but done, making it Facebook's biggest ever purchase, and the second-biggest tech-acquisition of all time. So what is it that makes WhatsApp so special? Let's take a look at the story behind WhatsApp, which is one of the most incredible and motivational success stories of this age. According to sources, Facebook has agreed to pay $4 Billion in cash, and $12 Billion in Stock. In addition, a sum of $3 Billion is to be paid to the WhatsApp CEO and staff. The deal is set to be finalized later this year, failing which Facebook will have to pay $1 Billion as recompense. The story of WhatsApp is one of hard work and dedication, of taking risks and entrepreneurship. Jan Koum, the founder of WhatsApp - and soon to be a billionaire - is yet another example of college dropout successes. Born and raised in Kiev, Ukraine, Koum lived a simple, ordinary life. His father was a construction manager, and the family somehow managed to eke out a living from a meager income. At age 16, he along with his mother migrated to Mountain View due to the troubled political and anti-Semitic environment back home. The father couldn't make it over. They got a small apartment through government assistance. To make ends meet, his mother took up babysitting, and Koum started sweeping the floor of a grocery store. Meanwhile, Koum keep at educating himself - while still at school - and learned computer networking from the books he used to borrow. His prowess led him to the San Jose State University, and to Ernst & Young as a security tester. Soon, he interviewed at Yahoo and got a job as an infrastructure engineer while still at San Jose, which he dropped out of two weeks later. It was during his time at Yahoo that he met and befriended Brian Actor, WhatsApp co-founder. Both left Yahoo in 2007, and applied for a job at Facebook. They were rejected. Koum bought an iPhone in 2009, and instantly realized that the seven-month old App Store was about to spawn a whole new industry of apps. Hence, the idea of WhatsApp was born. At this point, both Acton and Koum were jobless. So Koum had to spend what money he had saved from his work at Yahoo on building and running his simple app, which has now become the most popular messaging app in the world. If you look over closely at some of the competitors, you will see that none of them were valued even half as much. Facebook offered to buy Snapchat last month for $3 Billion, which was rejected. The popular IM and Voice calling service Skype was purchased by Microsoft for $7.5 Billion. However, most surprising of all, WhatsApp's closest competitor, Viber was recently sold for a meager $900 Million to a Japanese company. Guess the previous Viber owners have something to think about now. When it comes to WhatsApp, the numbers speak for themselves. WhatsApp is among the world's most popular and profitable phone apps, with over 450 million active monthly users. A quarter of the UK's population uses WhatsApp. On a typical day in January, more than 18 billion messages were sent through its network, two billion more than in early December - and a whisper away from the 19.5 billion sent daily via SMS. Because some messages went to multiple recipients, that amounted to 36 billion daily messages received! Most importantly, WhatsApp has more than 70% returning users everyday, a figure to brag about. Mark Zuckerberg takes pride in Facebook's percentage, which is only about 62%! 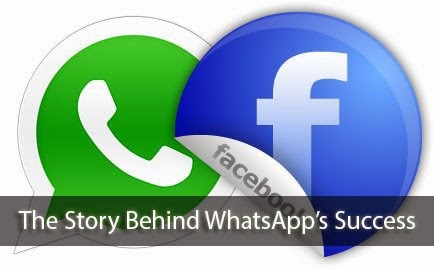 This is one of the biggest reasons why Facebook wants to buy WhatsApp in the first place. As for the jobless fellow turned down by Facebook some 5 years ago, he has proved that with hard work, dedication and a capacity willpower to learn, nothing is impossible. For a simple and straightforward man with no taste or patience for advertising, Jan Koum has done remarkably well in taking a small idea and building it into a grand app that turned out to be the most expensive app acquisition of all time! This is really inspiring and motivating. Hard work and perseverance is always important in all we do in life. Like it is written in the bible, "Never despise the days of little beginning." You never can tell what tomorrow holds for you, so don't give up now.